Prof Grant A. Covic (Senior Member IEEE) received his BE (Hons), and PhD degrees in Electrical and Electronic Engineering from The University of Auckland (UoA), New Zealand in 1986 and 1993 respectively. He was appointed as a full time Lecturer in 1992, a Senior lecturer in 2000, an Associate Professor in 2007 and to Professor in 2013 within the Electrical and Computer Engineering Department at the UoA, New Zealand. In 2010 he co-founded (with Prof. John Boys) a new global start-up company "HaloIPT" focusing on electric vehicle (EV) wireless charging infrastructure, which was sold in late 2011. Presently he heads power electronics research at the UoA and co-leads the interoperability sub-team within the SAE J2954 wireless charging standard for EVs. Today his research and consulting interests include power electronics, electric vehicle battery charging and inductive (contact-less) power transfer (IPT) from which he has published more than 100 refereed papers in international journals and conferences. He also holds a number of US patents with many more pending, from which licenses in specialized application areas of IPT have been granted around the world. Prof Amit Lal is a Professor in the School of Electrical and Computer Engineering at Cornell University, Ithaca, NY. He received his B.S. degree (1990) in Electrical Engineering from the California Institute of Technology, and his Ph.D. degree (1996) in Electrical Engineering from the University of California, Berkeley. His technical interests and activities are in the areas of MEMS, ultrasonics, optics, micromachining, piezoelectric systems, design and analysis of integrated circuits, and applications of radioactivity in microsystems. 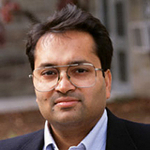 From 2005-2009, Prof. Lal served as a Program Manager in the Microsystems Technology Office of the Defense Advanced Research Projects Agency (DARPA), where he developed and managed programs in the areas of navigation, low-energy computation, bio-robotics, and atomic microsystems. He holds 18 patents and has published more than 145 research papers in the area of microsystem engineering. He is the recipient of the NSF CAREER award and, with his students, several best paper awards at the IEEE Ultrasonics and Frequency Control Symposium and IEEE NEMS conferences. He is also a recipient of the Department of Defense Exceptional Service Award, and a Best Program Manager Award for his work at DARPA. This talk will present advances in MEMS based power sources that may lead to a world with less environmental impact from chemical power sources. Micro power harvesters can harness power from vibration, radioisotopes, light, sound, and biology may provide pathways to minimize or even eliminate batteries in sensor nodes. In this talk work on radioisotope thin films for MEMs functionality will be the focus and a starting point for further adventures in miniature microsystems. The main results will be on how radioactive thin films can be used to power MEMS, provide sensing capability, provide stable clocks, and even provide a tool to nanofabricate structures through massively parallel electron lithography, and resulting silicon nanowire devices. The work on radioisotopes naturally led to work on development of solar cells for solar energy harvesting, and micro-mirror concentrated solar energy. This work further led our group to the exploration and creation of chip and wafer scale particle accelerators. Here we use the high electrostatic forces to manipulate the motion of high energy particle beams. Dr Stéphane Monfray (received the M.Eng. degree in physics and the postgraduate diploma in microelectronics in 1999 from the Institut National des Sciences Appliquées, Lyon, France, and the Ph.D. degree from the Université de Provence Aix-Marseille I, Marseille, France in 2003. He is the Disruptive Technologies projects manager in the Advanced Devices Technology group at STMicroelectronics in Crolles. Since 2008, he is a member of the STMicroelectronics-experts staff. He was involved in FP6 and FP7 projects (Nanocmos, Pullnano, Duallogic). He is the author and co-author of more than 60 publications in major conferences and journals, of more than 23 patents, of a book chapter. He was instructor at the SOI conference shortcourse in 2010, and he had multiple participations and papers presentations at the IEDM in 2001, 2002, 2004, 2007 and 2010. He was the co-recipient of the Paul Rappaport Award in 2000. 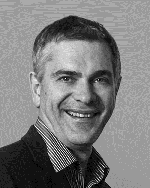 Prof Philippe Cinquin, 57, is Professor of Medical Informatics at Grenoble (France). He heads TIMC-IMAG, UMR5525, a Research Unit of CNRS and of Université Joseph Fourier, and co-heads CIC-IT 803 (Centre of Clinical Investigation - Technological Innovation) of INSERM and Grenoble's University Hospital. He holds a PhD in Applied Mathematics and is a Medical Doctor. In 1984, he launched a research team on Computer-Assisted Medical Interventions (CAMI), which led to innovative surgical practice, benefiting to more than 100 000 patients, thanks to the creation of several startup companies. He recently turned on intra-body energy scavenging in order to power implanted medical devices. Dr. Cinquin was the recipient of the 1999 Maurice E. Muller Award for excellence in computer-assisted orthopedic surgery, of the 2003 CNRS Silver Award and of the 2013 CNRS Innovation Award. We have demonstrated the feasibility of the implantation in rats of biofuel cells capable to power implantable medical devices from enzymatic reactions exploiting glucose and oxygen of the physiological fluids of the animal. We will describe this biofuel cell and a biofuel cell exploiting biomimetic membranes. Perspective for use of these approaches to power implantable medical devices such as lead-less pacemakers or robotic artificial urinary sphincters will be discussed.